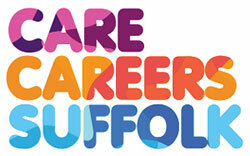 Care Careers Suffolk has a comprehensive programme of activity to promote careers in care. We hold regular initiatives throughout Suffolk to attract interest from people who may not have considered a career in care, or would like more information about local opportunities. We also attend careers events in schools and colleges. We can also advise on any funding that might be available to you for training and apprenticeships. You can find more information about finding and keeping workers on the Skills for Care website here.